How to get Teletalk Agami SIM, Teletalk Agami SIM Registration 2019. 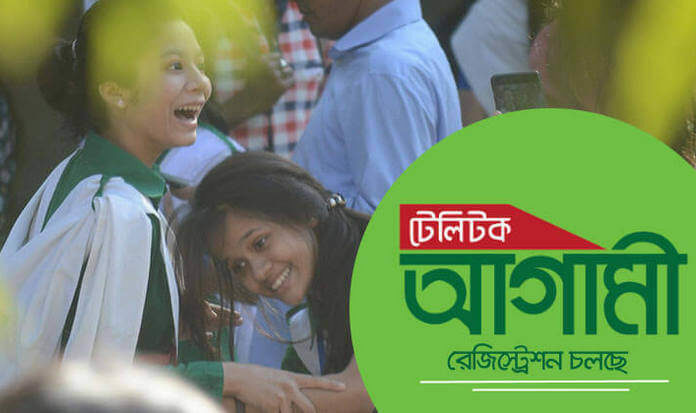 Teletalk Bangladesh gives the best opportunity for the SSC GPA 5 and English Medium O’Level examination students, GPA 5 students will get Teletalk Agami SIM. If you accept this opportunity you need to Teletalk Agami SIM Registration. Internet Package: 1 GB 21 Tk, 7 Days validity. Original Admit Card/ Mark sheet/ Certificate of SSC/ O’Level Examination. SMS of SIM collection with OTP number which is sent by Teletalk. Photocopy of Admit Card/ Mark sheet/ Certificate of SSC/ O’Level Examination. N.B: Teletalk will send the schedule of SIM collection immediately. AGAMI <space> BoordShortCode <space> Roll <space> Passing Year <space> Contact No.<space> CC Code and send it to 16222. AGAMI <space> OLE <space> Registration No/Unique Candidate Identifier <space> Passing Year <space> Contact No.<space> CC Code and send it to 16222. *** You can get CC Code at Agami_Teletalk or SMS System: AGAMI <space> HELP <space> CC <space> District Name and send it to 16222.